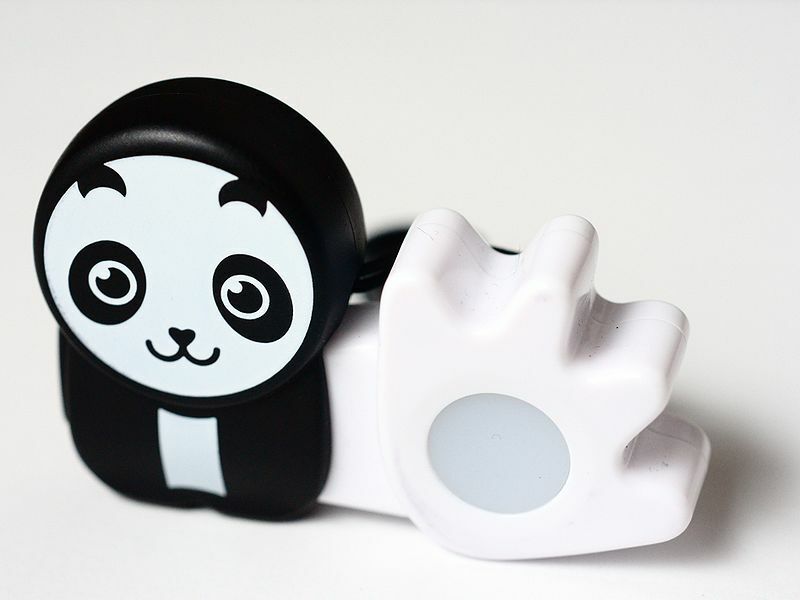 Poken is a technology that utilizes a proprietary Near Field Communication (NFC) technology to allow the exchange of online social networking data between two keychain accessories. Each person involved in the exchange must have his or her own poken. The primary information exchanged via the poken is a ‘social business card’, a digital replacement for a physical business card. By touching two devices together, a unique ID is exchanged that links to contact information on the Poken website. Contact information acquired by use of the poken can be uploaded to the poken website using a built-in USB connector. In addition to the contact information found on a typical business card, links to users’ social networks can also be added. Examples include Twitter, Facebook, LinkedIn and 40+ other social networks. Users of the Poken website can use a ‘social dashboard’ to manage, and interact with their contacts. Pokens are used for social networking, personal identification and as a device for loyalty programs. Bloggers and social media addicts have taken it up for networking event such as tweet-ups. Corporations such as BMW and IBM use pokens at their conferences, to enhance interaction with the conference attendees and to facilitate business networking. Poken is sold through a network of resellers and web shops in over 40 countries. Early adopter countries have been South Africa, the Netherlands, Japan, Germany and more recently the United States. User 'high fours' his or her Poken with that of the other user. Essentially holding them against each other (such that the coils inside the token are more or less aligned). The two Poken flashes green to signal that a bond was made. At home, the User plugs in his or her token into the USB port. The token is recognized as a standard (read only) disk. The user opens an HTML file from the disk (either manually, or through the AUTOSTART.INF mechanism). The HTML file contains a page which forwards the user to the Poken website. The URL forwarded to contains the Poken its unique identifier as well as the unique IDs of the most recent 64 pokens seen. The website detects any new pokens seen - and adds them to the user's timeline and contact list. The user's poken contact card can contain any information they want to share, for example URLs, mobile number, email address, and location. It can also be configured with links to the user on over 40 social networking sites. Facebook, LinkedIn, Twitter, YouTube, Ning, and more. Each social network is represented with an icon on the user's contact card, and is just one click to the user on that respective social network. From there, the standard "friending" or connecting rules apply. Contacts can also be exported from the poken user hub to vCards or Apple Mail.